Beth Gaerlan, PT, has been serving patients at Total Health Physical Medicine & Rehabilitation Center in Florham Park, New Jersey, for more than a decade. She brings extensive physical therapy experience and a commitment to quality care to every patient she sees. Gaerlan completed her bachelor’s degree in physical therapy at Silliman University in the Philippines. Shortly after, she moved to New York and began her career as a full-time, licensed physical therapist. 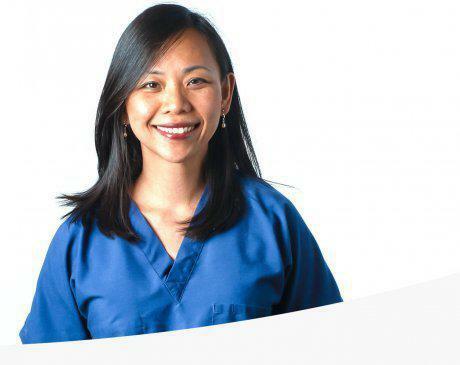 Beyond her extensive on-the-job experience, Gaerlan has built out her expertise through clinical orthopedic internships and postgraduate courses in manual therapy, balance training, dynamic stretching, therapeutic Pilates, and Kinesio Taping®. She is also a Certified Ergonomic Assessment Specialist®. Part of her passion for physical therapy developed after she suffered neck and back disc injuries. After seeing first-hand how challenging it can be to maintain a healthy and active lifestyle after these types of injuries, Gaerlan committed herself to her work. She strives to ensure every patient she sees can enjoy a better quality of life – regardless of their injury – as a result of their physical therapy. Gaerlan is trilingual – fluent in English, Tagalog, and Cebuano. When she’s not working with patients at Total Health Physical Medicine & Rehabilitation Center, you can find her keeping up with her three boys.